New Year. New Changes. New Roles. Exciting! I believe the time has come to announce some really cool changes to the Pathfinder Society hierarchy, and how the changes open up all sorts of new opportunities for our gaming community here in Ohio. First, as most of you already know, but I feel obliged to mention it in writing, due to personal issues, Mike Brock stepped down as the Organized Play Coordinator for Pathfinder Society at Paizo. Tonya Woldridge was selected to replace him. There was a period of overlap, but now that we are in the new year, Tonya is now the full-time OPC. This year also introduces a new role, the Regional Venture-Coordinator. The globe was divided into ten regions for organizational reasons, and Ohio falls into the Great Lakes Region. The person that is our RVC is Bob Jonquet, from Decatur, Illinois. Congrats to Bob! The new year also sees another new position, the Venture-Agent. The VA is a role where an individual is responsible for a specific gaming location. They are responsible for such things as organizing gaming sessions for Pathfinder Society at that location, campaigning for and welcoming new players, making sure everything runs smoothly at the gaming location, mentoring new players and GMs, and overall problem-solver and troubleshooter. There are some benefits that come with this new position, including free access to Pathfinder Society scenario PDFs. If there are any issues, in general, you should go to the person directly above you. There might be exceptions to this hierarchy based on the specifics of the issue. But, the beauty of the new hierarchy, and this is the most important part, is that the organization operates from the bottom up, instead of from the top down. So, what does this mean? This means that the OPC and RVC, or even the VC, are not going to recruit or assign people to the VL or VA positions. The organization is leaving it up to each specific and individual area or location to petition for any new VL or VA positions, based on the need in that area. Paizo is letting us tell them what is needed. So, as a player or GM in an area, if you see or feel a need for a new VL or VA, and you feel that you would make a good fit for the role, it is up to you to go to an existing VL (or VC, if your area is not covered by a VL) and describe the need for this position, and to argue the case that you should be a good candidate for one of these positions. It is being left up to us to organize our own areas. For my greater Cleveland folks, for more important information, please follow this link! At Con on the Cob, I had a chance to meet the owners of a new gaming store that is located in Hudson. The name of the gaming store is That Game Shop, and it is located at 186 North Main Street, in Hudson, Ohio. Their website is www.thatgameshopllc.com. They are located beneath Dave’s Cosmic Subs. They opened up only a couple months ago, and are looking to get some solid Pathfinder Society going there on Sunday afternoons. The first session will be this Sunday, November 1st, at noon. I will be there, and I will have the first Pathfinder Scenario, Silent Tide, prepared to be run. I put an event on the calendar, and we’ll also be looking to eventually get a solid gaming schedule going there. Con on the Cob 2015! Hey Everyone! I know it seems like we just finished with AnCon 2015 (that’s because we did). But, it is already time to start gearing up for Con on the Cob 2015! The dates are October 15th through October 18th. That is a Thursday through a Sunday. I’ve never been there, but everyone I talk to says that it is a really nice venue for a gaming convention. Andy has set aside a dedicated gaming location just for Pathfinder Society. Next, there is all sorts of more information about the convention located both at the Con on the Cob website and in the event that I created on the calendar, but really, this is a call to muster the GMs. The success of our local conventions fall heavily upon the participation of the GMs. As you know, it is very rewarding and prestigious to volunteer to GM at our local conventions. I myself have already registered to run the second level of the Ruins of Bonekeep several times over the weekend. 1. We are keeping it just as simple as we did with AnCon. You get to choose which scenarios you are running, and when you are running then. Just go to the “Gaming” tab on the Con on the Cob website, and fill out the form. It’s very similar to the same form you filled out for AnCon. It’s short, and all of the fields are pretty self-explanatory. The only thing you have to make sure you do is put “Pathfinder Society” in the “Rules System” field. Con on the Cob operates a little differently than AnCon. For Con on the Cob, you have to register to GM by August 1st, and the discounted GM badge is $25. All of the games are free to all of the convention participants, so there is no payment or reward for players at your tables. You also have to commit to running two events to get that discounted $25 GM badge. That badge gives you unfettered access to the entire convention for all four days. You can register your events and purchase your badge all at the same time. 2. But, as always, we will have swag that is provided by Paizo for our convention! I need to register the convention with Paizo almost immediately after that August 1st deadline. So, as soon as you register to run some events, please send me an email with the scenarios you are running, and the email address that you use on Paizo’s website. This is to ensure that I can get the scenarios to you, for free – and it determines how much swag Paizo will send. So, August 1st is only a couple weeks away. We have to act quickly! Malted Meeple – which is named after malts (the alcoholic and non-alcoholic kind) and the little meeple from Carcassonne – is a brand new gaming location. It’s a gaming café, and it just opened in March. It is a beautiful place. They serve beverages of all sorts, and have plenty of comfortable room for gaming. I met with one of the head meeple in charge – Karington – and he is very interested in getting some Pathfinder Society gaming going there on Monday nights. I know that that conflicts with Underhill’s schedule, and Lee has been very good to us, and so I don’t want take anything away from Lee. So, I figure that we can grow the player base overall, and share players between locations. It’s on Darrow Road in Hudson. So if Underhill’s is close to you, then so is Malted Meeple. It’s a gaming café, so it’s $5 per person, per night. There are all sorts of benefits to GMing there, too. Karington has all the information on that, but it is highly beneficial to GM at Malted Meeple. He needs GMs for Pathfinder Society, and he rewards them well. I am still not available on evenings, so I am putting a call out to the community. It takes a village. We want to get some Pathfinder Society going at Malted Meeple on Monday nights. The first scheduled session will be Monday, July 13th. The times are the same: between 6 and 10 PM. Who can bring a friend, or relative, or anyone who has shown interest in Pathfinder Society – but just needed a nudge? This is the perfect opportunity. Cleveland is in the House! Hey Everyone! In a recent meeting with Michael McNerney, it was decided that Cleveland would come over to Ohio PFS and become part of the fold! If it gets a little rowdy, I apologize ahead of time. We sometimes don’t know our “indoor voices”. : ) Anyway, welcome to all the Cleveland PFS folks! In a recent meeting with Michael McNerney, it was decided that Cleveland would come over to Ohio PFS and become part of the fold! Anyway, welcome to all the Cleveland PFS folks! The theme of this year’s AnCon is “Superheroes”. So expect to see a lot of superhero themed stuff going on. 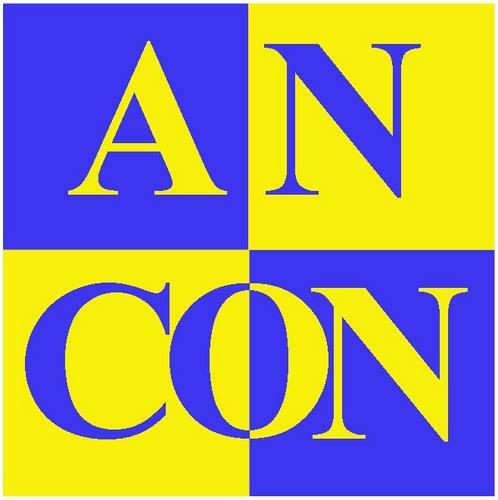 For those who have never attended AnCon before. It stands for “Another Game Convention”. It’s been going on for several years. It’s a local game convention in Cleveland that happens every Spring, and the key focus is on all things gaming. From competitions, to tournaments, to independent and new games, to vendors – it’s the place to be if you want to be indulged in gaming. I’m the one who is in charge of organizing the Pathfinder Society portion of the convention. For those who have been to AnCon before, you know how much of a blast it is. When: May 15th, 16th, and 17th. That’s a Friday, Saturday, and Sunday. Where: Clarion Inn Hudson, 6625 Dean Memorial Parkway, Hudson, OH 44236. If you plan on getting a room there, they have a special AnCon special just for us. A reduced room rate, and two free breakfast buffet coupons each day per room. But, you have to call to get it. The phone number is 330-653-9191. The hotel is currently (still) undergoing an extensive renovation, so just be prepared for that. So, how do you get involved? Well, if you want to attend, you have to buy a player badge. Tickets to attend each table are extra. Go here and click on “Register Now!” It will redirect you to the site where you buy the badges and tickets. You can also buy at the door, but as you see from the published rates, there is an economic benefit to pre-registering. If you need to contact me for any reason, my email address is ryan.p.kappler@gmail.com. But, if you have technical difficulties with the website, contact Frank at frank@mstbcompanies.com.